Green Hills Software's sales & technical team brings extensive embedded systems and corporate management experience to the company. 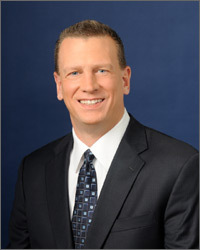 David Chandler, Senior Vice President of Sales, joined Green Hills Software in 1993. Mr. Chandler has over 26 years of experience in direct sales and sales management of technical software and hardware products. From 1987 to 1992, he was a Regional Sales Manager at Avalon Computer Systems, a company affiliated with Green Hills Software. From 1984 to 1987, Mr. Chandler worked in direct sales at Oasys, a distributor of Green Hills Software's products whose operations have since been merged into Green Hills Software. In 1984, Mr. Chandler received a Bachelor of Science in Business Administration from the State University of New York, Brockport College. 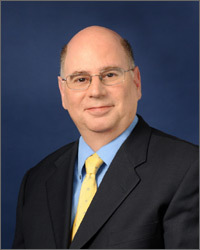 Jeffrey Hazarian, Chief Financial Officer, joined Green Hills Software in 2004. Mr. Hazarian is responsible for finance, accounting, tax, and administrative operations. Before assuming his position at Green Hills Software, he spent 19 years at Tenera, Inc., a publicly held software and services provider where he served on the Board of Directors and held various executive positions, including Executive Vice President, Chief Financial Officer and Corporate Secretary. His accomplishments include the development of effective compliant accounting and business process systems that also lowered overhead costs. Mr. Hazarian is a member of the California Bar and holds a law degree from the University of California Hastings College of the Law and a BS degree in Business Administration, Accounting Option, from California State University at Hayward. Christopher Smith, Vice President of Marketing, joined Green Hills Software in 1998. Mr. Smith has 20 years experience in engineering, sales and marketing of embedded and real-time systems and software. In 1994, he joined Intermetrics Microsystems Software, Inc. (IMSI) of Cambridge, MA, to establish a European operation and fulfilled a sales and marketing role. IMSI was purchased by BSO/Tasking in 1996. From 1985 to 1994, Mr. Smith worked for a UK-based distributor of development and computer aided engineering software tools, ARS Microsystems Ltd. In 1989, he became Vice President of Sales and a board member. Mr. Smith was educated in the United Kingdom and has a background in Electrical and Electronic Engineering. Tim Reed, Vice President of Advanced Products, joined Green Hills Software in 2001 and is responsible for the management and sales of NRE projects, sales and business development in the Asia-Pacific region, and management of Green Hills training and on-site consulting services group. During his time with the company, Mr. Reed has worked as a Systems Software Engineer, Field Applications Engineer for Asia-Pacific, Director of Asia-Pacific Business Development, and General Manager of Advanced Products. Mr. Reed earned his bachelor of science in engineering and applied science (computer science) from California Institute of Technology. Jason Isaacs, General Counsel, joined Green Hills Software in 2004. Mr. Isaacs is responsible for managing and protecting Green Hills Software's intellectual property resources and ensuring that Green Hills Software complies with applicable laws and regulations. Before joining Green Hills, Mr. Isaacs practiced law at Brobeck Phleger & Harrison LLP and Heller Ehrman LLP in San Diego, specializing in technology transactions, licensing arrangements and business litigation in his representation of high growth and venture backed companies. Mr. Isaacs received his law degree from Harvard Law School and a B.A. from Brown University.